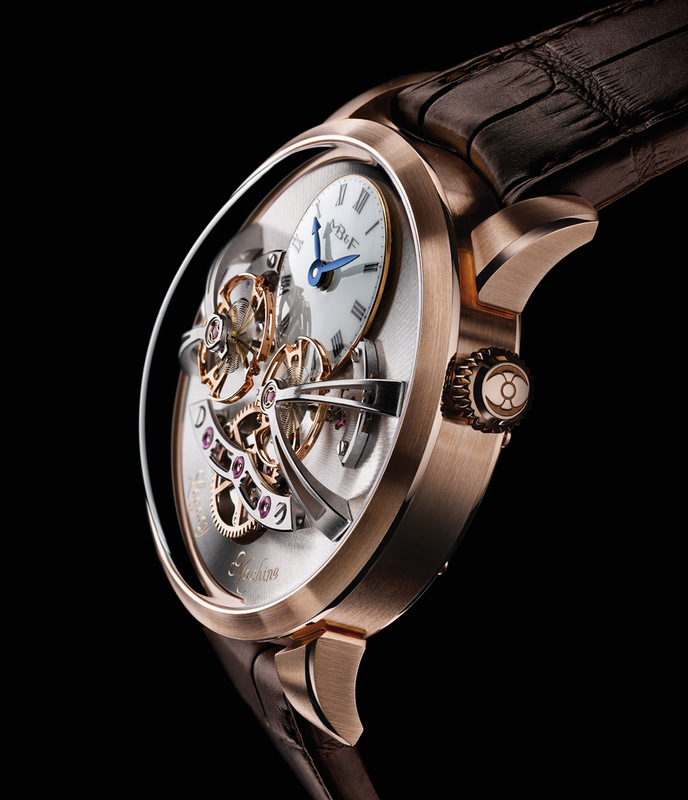 MB&F’s futuristic horological machines have their foundation in the very best of traditional horology. 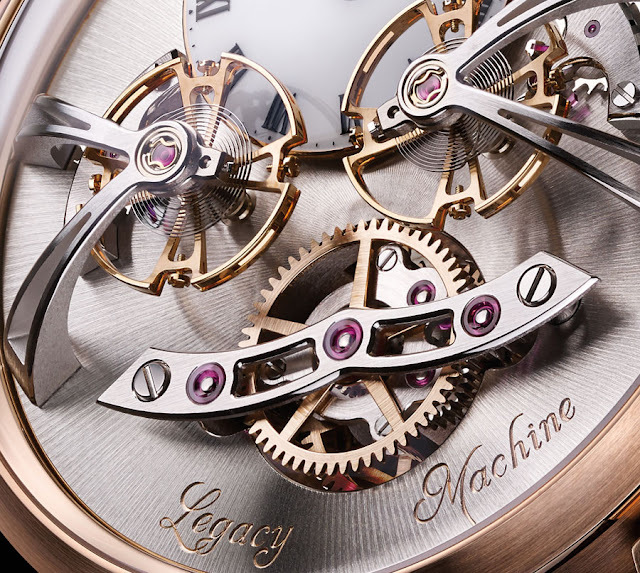 The new Legacy Machine N. 2 makes no exception. 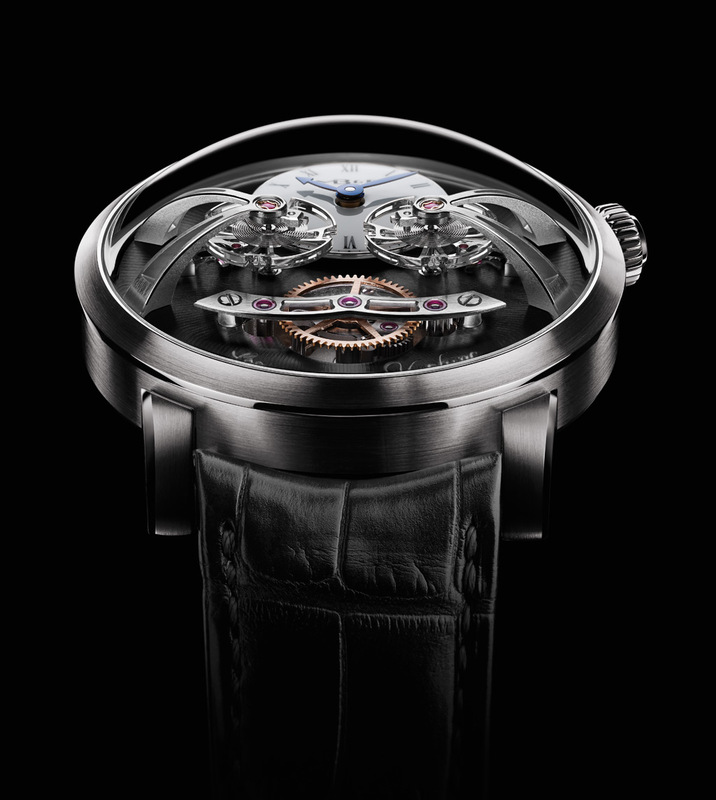 This new marvel from MB&F pays homage to one of the rarest mechanisms in the history of watchmaking: the dual regulator. The two balance wheels and their escapements are positioned in perfect symmetry under the domed sapphire crystal cupola. They beats at a frequency of 18,000 bph or 2,5Hz. 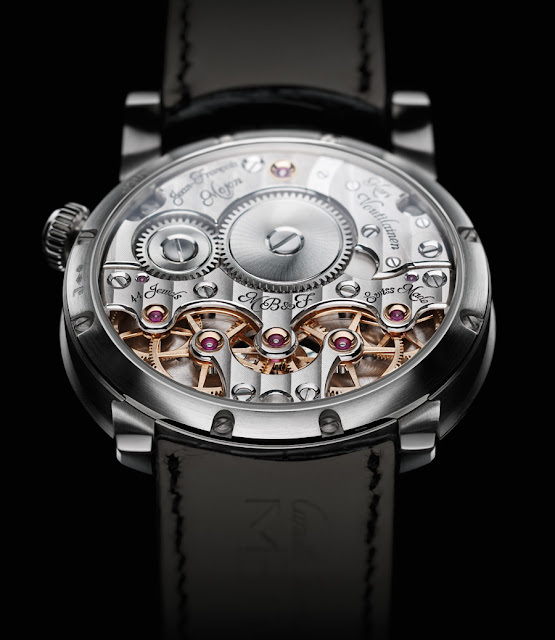 The average rates of the dual regulators are transmitted by a differential to a single gear train at 6 o'clock which visually balances the lacquer sub dial at 12 o'clock with hour and minute hands. The large planetary differential covers three main roles: transferring power to each of the regulators, receiving the individual timing rates from each balance, and transmitting the average rate of the two regulators to the gear train so providing the time indication. The three-dimensional movement of the Legacy Machine No. 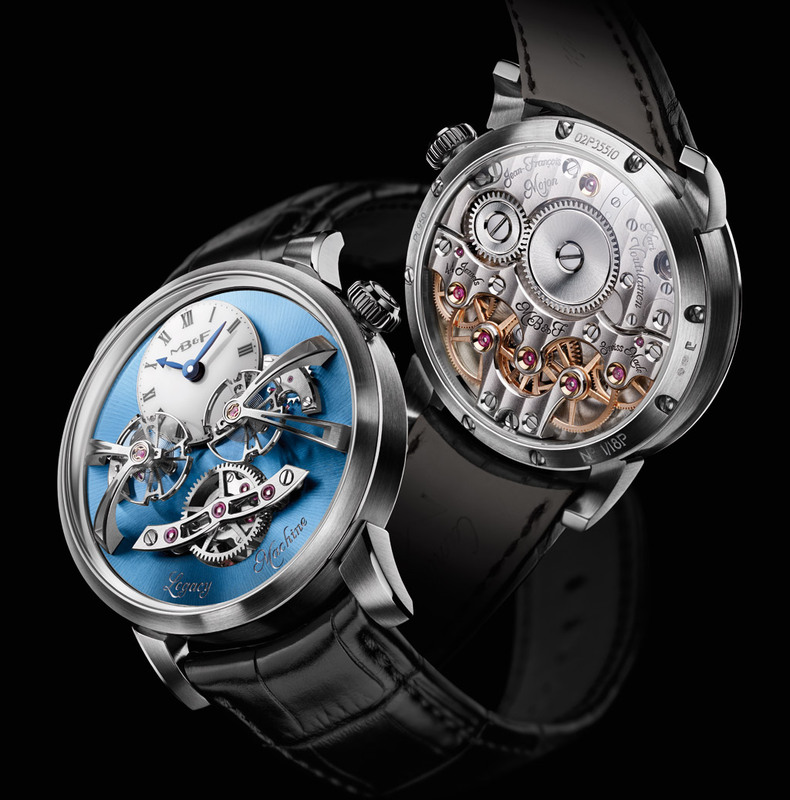 2 was developed to MB&F’s specifications and concept by the award-winning watchmaker Jean-François Mojon with the collaboration of the independent watchmaker Kari Voutilainen to ensure that the movement’s aesthetic style was consistent with traditional timepieces of the 19th century and to take care of the superlative finishing. The names of the two watchmakers responsible for the movement are hand engraved on the back. 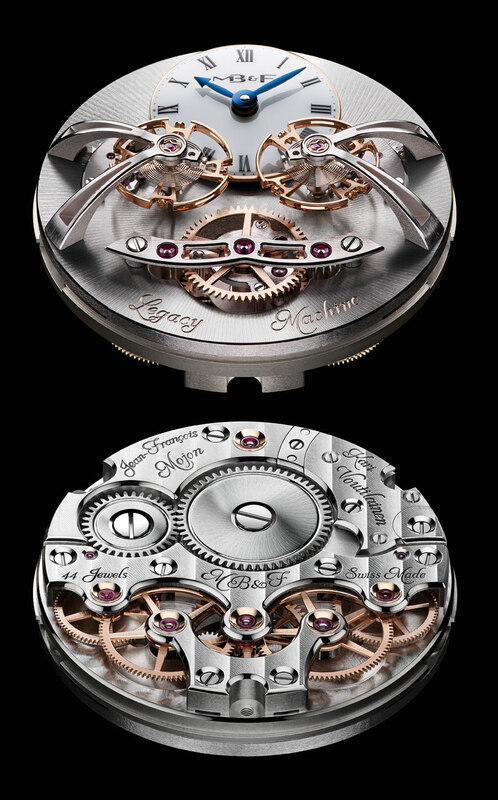 The case has a diameter of 44 mm while the total thickness is 20 mm. Legacy Machine No. 2 is available in red gold, white gold and a limited edition of 18 pieces in platinum 950 featuring a sky-blue dial. The price of the gold versions is US$156,000, while the platinum version is priced at US$190,000. Don't miss the fascinating video. MB&F’s futuristic horological machines have their foundation in the very best of traditional horology.The new Legacy Machine N. 2 pays homage to one of the rarest mechanisms in the history of watchmaking: the dual regulator.